first of all: although we enjoy already our last minutes of the holidays... I wish you "Happy Easter" ladies. How did you spent your free time? I was relaxing with my loved ones, enjoying my easter bunny chocolate and just doing all the things I usually don't have time to ...like reading and watching all my beloved old movies at tv! Although it sounds a little bit vintage, yes, I really do enjoy watching epic films like 'The Ten Commandments' and 'Ben Hur'. It reminds me of my childhood days and is so relaxing. What I also really love to do during my free time is visiting museums. 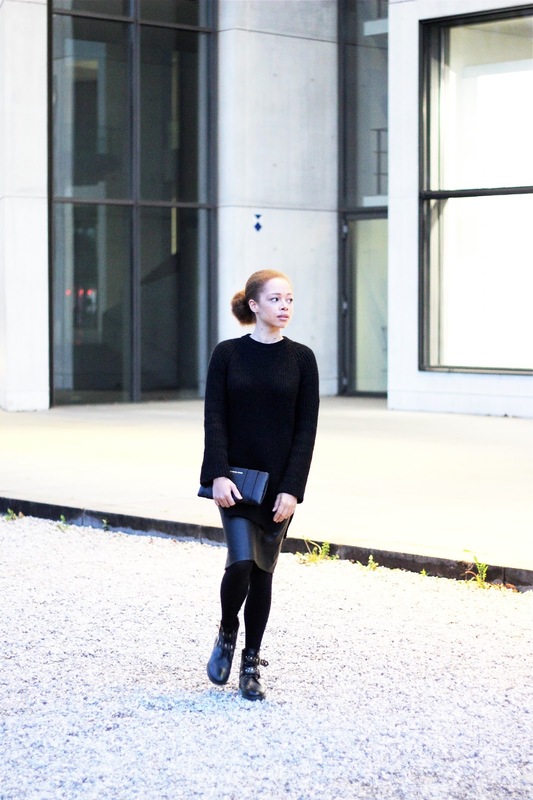 One of my favourites: the 'Pinakothek der Moderne' museum in Munich. 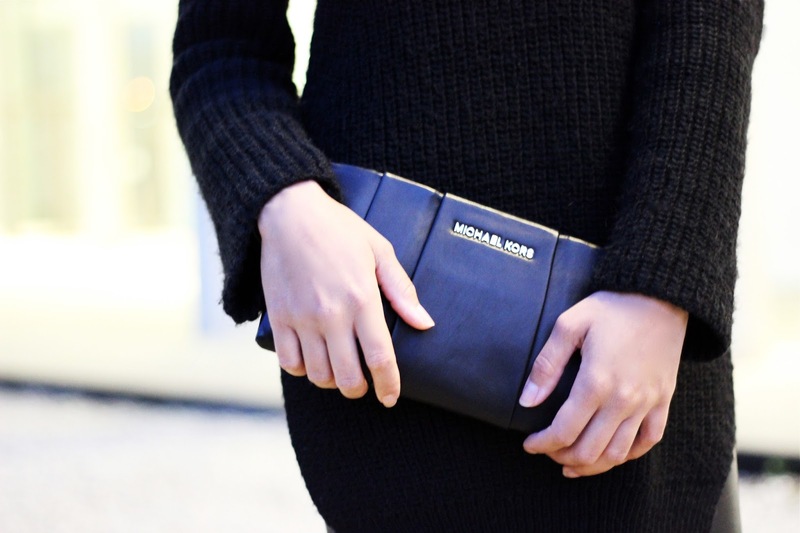 As the weather was still a little bit cold the last days, the outfit I was recently wearing on this occasion was my cosy black sweater with the black midi skirt (Zara) and black tights. 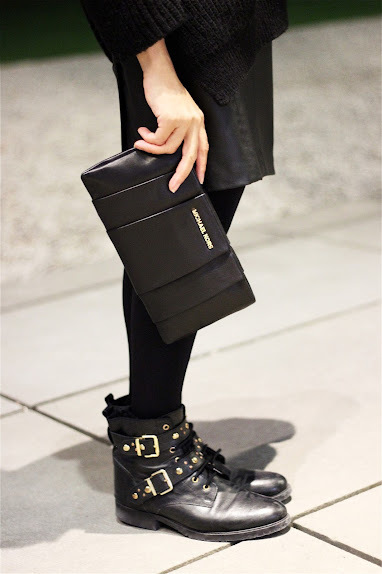 The black leather biker boots and my new Michael Kors Clutch completed the straight look. Ich aktualisiere des öfteren mal deinen Blog :) Und wie ich sehe hast du nichts neues gepostet, schade! Außerdem: Danke für deinen Kommentar bei mir! Das hat mich gefreut.